First impressions are hugely impactful in pretty much every aspect of our lives. Why is that? Well, when we encounter another person, place or situation for the first time, a mental image is immediately formed which would greatly influence how we perceive that person/place/situation. Whether it’s a first date, first meet with the potential in-laws, a job interview or an appointment with a potential client, first impressions indeed have the power to ‘make it or break it’. And as holiday-makers who trot around the globe, one of the first introductions to a foreign country is their toilets! Let’s face it – the minute we get off the plane upon touchdown, the first thing you do is make your way swiftly to the nearest washroom. Likewise, when a traveller from a foreign country walks through our airports’ arrival gates, toilets serve as their first impression of our country. 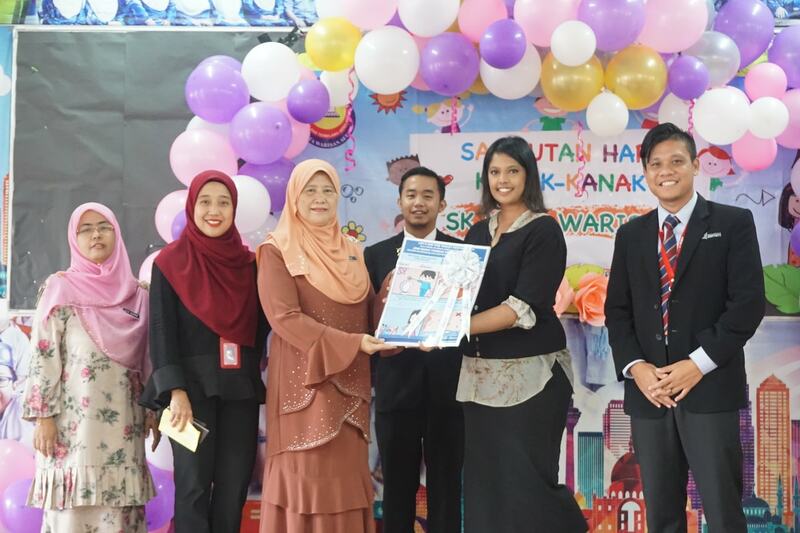 Hence Malaysia Airports have taken it upon themselves to educate the community on proper toilet etiquette and keeping toilets clean through its successful public service awareness (PSA) campaign themed ‘Pay It Forward’. Essentially the campaign encourages the users of airport toilets to perform the act of ‘paying it forward’ by practicing cleanliness and good hygiene so that the next user in line is also able to have the same pleasant experience. This year, the ‘Pay It Forward’ campaign focused on imparting the knowledge of proper toilet etiquette to primary school students. 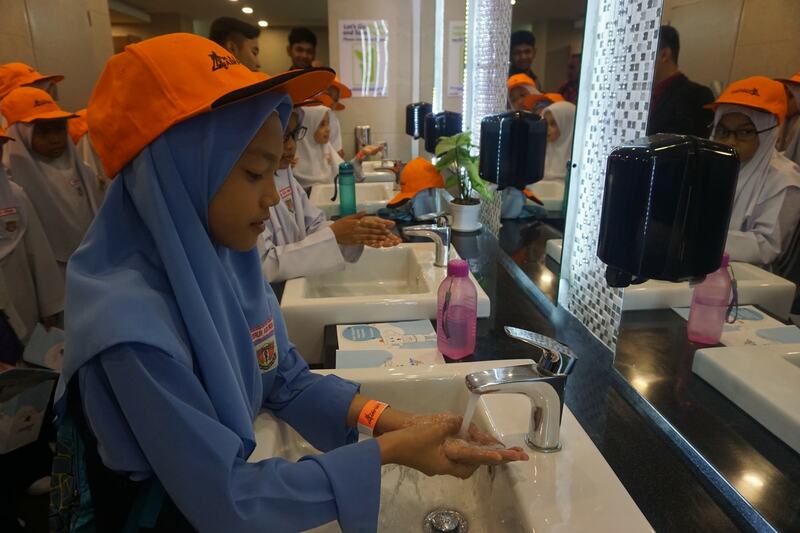 Over 400 Standard 4 students from 10 schools within the Sepang district were invited to visit KLIA to learn more about using public toilets in a responsible manner. “We decided to champion this initiative because as a service leader, we truly are at a strategic position to champion this cause. After all, at the end of the day, it is the public that will benefit from this initiative and upholding the knowledge to use the toilet amenities properly benefits everybody,” said Malaysia Airports acting group CEO, Raja Azmi Raja Nazuddin. He re-iterated that “instilling and inculcating this model behaviour with our younger generation will reap greater results in moulding a generation that will grow up to be more civic-minded and responsible”. The kids are all ears! 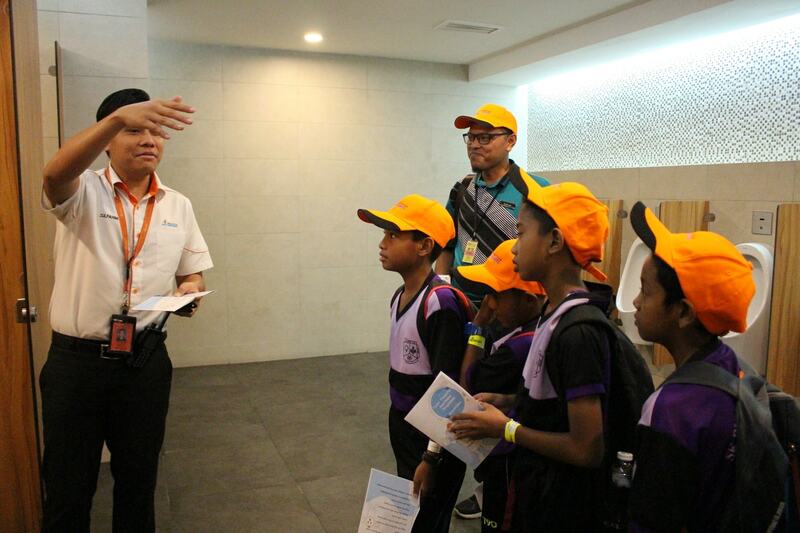 The Malaysia Airports ‘Skuad Ceria’ volunteer team imparted essential knowledge on proper toilet usage and hygiene practices to the students, who visited KLIA with their teachers. Adding a ton of educational fun was a tour of the airport facilities and operations which the kids enjoyed immensely. “They were truly excited to meet with our employees and see first-hand all the buzz and activities at the airport. This gave them a chance to expand their horizons as well as learn more about possible future job opportunities at the airport,” added Raja Azmi. Each student was also encouraged to submit an essay of the knowledge acquired on proper toilet etiquette where the best submission from each school would then be chosen the winner. “Staying true to the spirit and theme of the ‘pay it forward’ movement, the winners then ‘paid it forward’ by reading out their essay during their individual school assembly sessions. This way, the entire school community in all 10 schools were also imparted with the knowledge on proper toilet etiquette, allowing us to spread our message to a bigger audience. 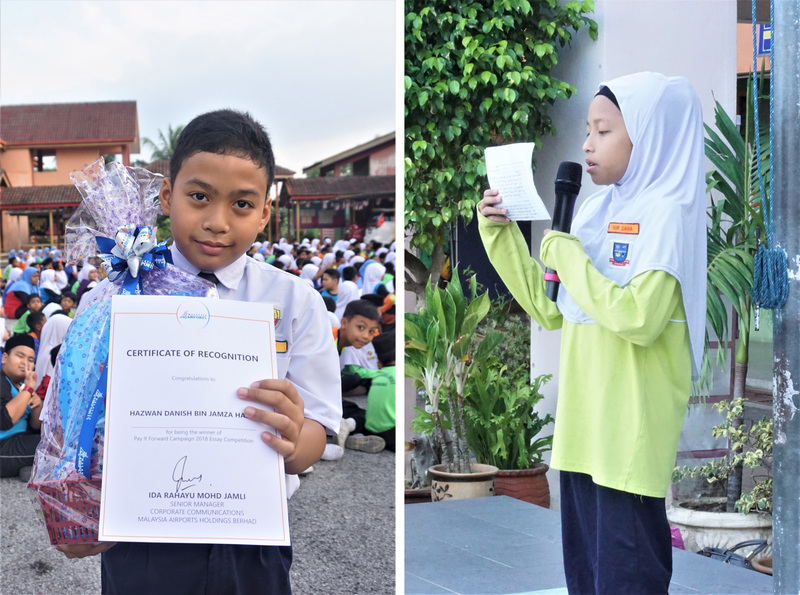 At the same time, posters on proper toilet etiquette were also presented to each school, to further reinforce our mission on keeping public toilets clean,” expressed Azmi. Malaysia Airports’ ‘Pay It Forward’ campaign falls under the organisation’s Community Enrichment pillar in its Corporate Social Responsibility (CSR) framework. Malaysia Airports aims to continue this significant initiative so that more communities embrace this campaign to keep our public toilets clean.